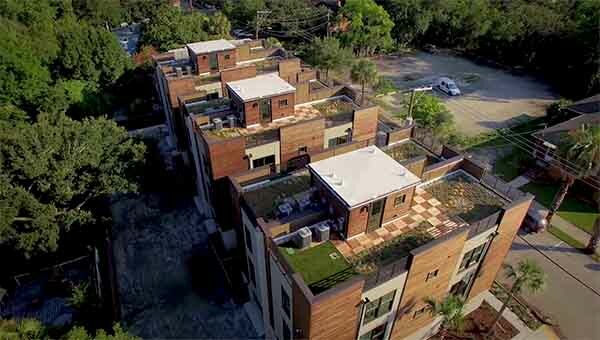 Harleston Row | residential | Living Roofs Inc.
Green roofs take center stage on new condos in the coastal south. as an afterthought, the design team included a staircase leading to a vestibule on the rooftop that opens to a wood deck. 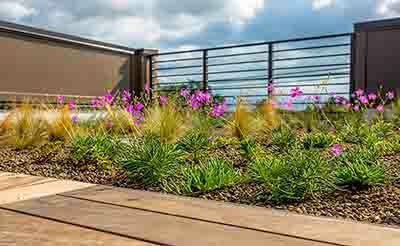 Surrounding and integrated into the deck are pockets of flowering perennials and ornamental grasses creating a unique, private space for residents (and their pets) to enjoy.